The CFAAS has a long history of greatness in fisheries and aquatic sciences. William M. Lewis died peacefully in Clinton, North Carolina, at the age of 88 after several years of declining health. He is survived by his three sons and two daughters. Since 1985 he had been living near Faison, North Carolina, where he built two fish farms that allowed him to indulge in his lifetime passion for fish culture. Although nominally businesses, the fish farms were constantly in a state of flux in response to Bill's irrepressible desire to experiment. Bill was born (1921) into a farm family in rural Faison, North Carolina. His maternal grandmother taught him to seek out rare plants and to sit in the right places to observe birds; these two pleasures he carried through the rest of his life. He spent a good deal of his youthful free time in Bear and Goshen Swamps, which were within walking distance of his home. In his teenage years, Bill somehow reached a negotiated settlement with his father that allowed him to work with the microbiologist at a pickle plant in Faison rather than wielding a hoe in the melon fields. He chose zoology as a major at North Carolina State University, where he lived under the wing of Professor John Etchells, a microbiologist at NC State. At NC State, Bill met Sue D Lewis, an entomologist, who held a staff position with the Department of Zoology. They were married in 1944 just as Bill entered Officer Training School at Notre Dame, which led to his assignment as Lieutenant JG in the US Navy, with duty on the battleship USS Colorado. He received serious wounds at the Battle of Leyte Gulf (a death notice was sent in error to Sue D), but recovered and went back into service. After returning to the States in 1945, Bill entered graduate school under the supervision of Professor Kenneth D. Carlander at Iowa State University (MS 1948, PhD 1949). In 1949 he was hired as Assistant Professor in the fledgling Zoology Department at Southern Illinois University, Carbondale, Illinois. By the end of 1949 he was one of six faculty members in Zoology. He was personally recruited for the job by SIU's president, Dr. Delyte W. Morris, and asked to create a Fisheries Research Program for SIU. Two courses, Fish Management and Ichthyology, were added to the Zoology curriculum; Fish Culture was added in the 1950s. The Fisheries Research Laboratory became a reality in 1950 with Bill as Director (25% release time). In 1951 SIU entered into a cooperative agreement with the Illinois Department of Conservation, which provided funds, personnel and equipment. Some funding also was provided by the Sport Fishing Institute. Due to this agreement the laboratory was frequently referred to as the SIU Cooperative Fisheries Research Laboratory rather than the Fisheries Research Laboratory. These two names were used almost interchangeably until 1999 when, with legislative approval, the name was changed to SIUC Fisheries and Illinois Aquaculture Center. Early fisheries research for Bill and his students consisted largely of a reconnaissance of the fish fauna of Southern Illinois. Although the Southern Illinois fishes had been collected in the nineteenth century for taxonomy, understanding of community structure and relative abundance of fishes was sketchy at best. Bill recruited graduate students who were willing and able to use nets of all kinds and, most impressively, a huge electroshocking boat that, along with its massive generator, resembled a military device (Gunning and Lewis 1957). Thousands of fish were collected, weighed, measured and aged. Community structure and species distributions were revealed and published (e.g. Lewis and Elder 1952; Lewis 1954; Gunning and Lewis 1955; Gunning and Lewis 1956a; Gunning and Lewis 1956b). Fisheries then moved on to other areas of research. Graduate students and Bill's family life were strongly integrated in the early years before Bill and Sue D's five children began to take over the attention of their parents. There were many backyard picnics featuring Stag beer with hamburgers and a great deal of camaraderie. The Professor served a more significant paternal role for graduate students than would be typical today; many students had money problems that were not so easily resolved then as now. Bill steered Fisheries into a research theme based on ecological studies of fishes, with much emphasis on predation (Lewis et al. 1961; Lewis 1968b). He was excited by the release of Nikolsky's (1963) book, Ecology of Fishes, and took inspiration from it. For example, Bill undertook an extensive study of feeding preferences of largemouth bass confined in large tanks and offered a mixed assortment of natural foods. The result was an electivity matrix for prey in various combinations (Lewis and Helms 1964). These studies exposed his students to the idea that, in freshwater ecosystems, food often controls the density of fish populations and vulnerability of prey controls species composition. Another example of Bill's ecological work came from the idea that warm water fish, which are known by fish biologists to travel in spring, might leave reservoirs over the spillway in significant quantities over brief intervals. Working on Lake Murphysboro and Lake Chautauqua near Carbondale, Bill and students documented an astonishingly large number of fish leaving over the spillway within just a few days during spring peak flows, after which the exodus ceased abruptly, even though water continued to flow over the spillway (Louder 1958; Lewis et al. 1968). As a result of these research findings, several large lakes and many farm ponds in southern Illinois now have screens on their spillways. Bill had a great interest in practical matters related to fish management. One early project involved the use of sodium cyanide rather than rotenone as a means of clearing ponds. Unlike rotenone, cyanide eliminated all aerobic eukaryotes rather than just fish, an advantage in some types of management. Fish also could be collected and placed in fresh water, where they would recover (Lewis and Tarrant 1960). The offset was handling of barrels of cyanide balls the size of chicken eggs, knowing that accidental ingestion of an amount as small as a match head would be fatal. An antidote kit was always carried into the field. Thankfully, it never had to be used because two injections were required from a pair of very large syringes. Isobornyl thiocyanate offered some selectivity and was safer to use (Lewis 1968a). A natural way for Bill to combine his practical impulses with basic science was to study fish culture rather than natural populations or fish in the lab. The frustration was that SIU had no fish hatchery, nor was it likely to get one in those early, lean years. Bill and Sue D attended an estate auction in Murphysboro during the 1950s hoping to snag a piece of land in the Mississippi bottom. The auction was held outside, and a great rainstorm drove off most of the bidders in the middle of the action, whereupon Bill and Sue D purchased 170 acres of land at a very good price. This became the Fountain Bluff Fish Farm, where a great deal of research on many aspects of the emerging fish culture industry was conducted by Bill and his students over the next 30 years. No student will ever forget the joy of the first attempt to walk in those Mississippi River gumbo ponds. Webbed feet would have been highly desirable. Fountain Bluff had abundant groundwater from the unconsolidated American Aquifer, but the water is not ideal for fish. It has a high concentration of ferrous iron, which fish cannot tolerate. Bill expended considerable effort in learning how to make the water suitable for fish. Much of this work was not published, but his graduate students learned how to identify and deal with groundwater problems. The Fountain Bluff Fish Farm initially raised golden shiners and fathead minnows for the bait fish industry. Later, as methods were developed to spawn channel catfish, the farm was converted to raising catfish and bluegill for stocking farm ponds. By the late 1960s after much research had been conducted by the laboratory staff, hybrid sunfish were raised for sale to pond owners (Lewis et al. 1969; Lewis and Heidinger 1971; Lewis and Heidinger 1978). The hybrids were not sterile but were primarily males, which helped overcome the problem of bluegill overpopulating in farm ponds. There was a good market for advanced fingerling largemouth bass, but it was too expensive to raise them at high densities on live forage. Bill and his staff as well as biologists at other universities developed techniques for training largemouth bass to feed on a prepared diet, which allowed largemouth bass to be raised at high density (Lewis et al. 1969; Brandenburg et al. 1979). In the 1950s fish diseases and methods of disease control were not understood, especially for warm and cool water species. Veterinarians were not interested in these problems because the commercial market was too small. From 1951 through 1970 the Laboratory produced some 20 publications on this topic (Smith et al. 1951; Lewis and Bender 1960; Lewis 1961a; Lewis and Lewis 1963; Lewis and Summerfelt 1964; Lewis and Parker 1965; Lewis and Ulrich 1967; Lewis and Lewis 1970). 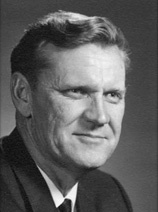 Partly as an outcome of extensive lab work on diseases, Bill published a book, Maintaining Fishes for Experimental and Instructional Purposes (1963), which covered a subject on which he truly was an expert. SIU accommodated expansion in both research space and personnel of the Fisheries program. In the late 1950s, in cooperation with SIUC and the City of Carbondale, Bill had 18 one-seventh acre drainable research ponds built below the spillway of the Carbondale City Reservoir. Water was supplied by gravity to the ponds from Carbondale Reservoir. Also, considerable new office and research space was designated for Fisheries when the Life Science II building was dedicated in 1969. In 1965 the University provided Bill with a full-time secretarial position. In December 1965 he hired Bettye Doerr. Bettye remained as head secretary for the Laboratory until she retired in November 1991. Although technically not her civil service classification, she functioned as an executive secretary to both Bill and later Roy. Much of the directors' successes were due to her efforts and commitment to the Laboratory. In 1970 Dr. Roy Heidinger was appointed assistant director and in 1971 his position was changed to tenure track. Through gentle coercion with the administration, Bill had been able to have both himself and Roy assigned 75% time to the laboratory and 25% to Zoology. In 1977 the Department of Zoology hired Dr. Brooks Burr, a University of Illinois graduate trained under Dr. Phil Smith, to teach Ichthyology. Although Dr. Burr was not assigned to the Fisheries Research Laboratory, he was an integral part of the fisheries program. His addition to the Zoology faculty allowed Bill and Roy to offer their students a new advanced course in aquaculture and fisheries management. As demonstrated by his students' theses projects and his publications, Bill became interested in an amazingly wide diversity of fisheries related areas. He and his students conducted a great deal of experimental work on use of cages for rearing catfish (Lewis and Konikoff 1970; Lewis 1971b; Konikoff and Lewis 1974; Lewis and Wehr 1975; Lewis and Sheehan 1978). Catfish were being raised successfully in ponds, but the harvesting process was laborious and inefficient. Cages offered control over the fish as well as an easy way of harvesting or sampling for evaluation. While the fish cage was an invention of centuries past, quantitative data on tolerances for crowding and the resolution of problems were worked out in detail by the Fisheries Lab. By 1965, Sue D Lewis had at last given up her hold on entomology. Bill could not be induced to discuss insects, unless as food for fish or as an enemy of larval fish. Sue enrolled in the PhD program in Zoology at SIU under Dr. Harvey Fisher as her major advisor. Her dissertation was based on a study of osmotic challenges to fish during handling, as well as a remedy consisting of osmotically beneficial salts that reduce stress on the fish in handling (Lewis, S. D. 1971; Lewis, S. D. 1972). Her studies were supported by a National Marine Fisheries grant. She also described new protozoan parasites (e.g., Lewis S. D. 1968). Sadly, she developed multiple sclerosis in the1970s and was unable to work after 1974. Except for staff salaries, the Fisheries Research Laboratory had very little operational money from SIU. Funding for research in the Laboratory was dependent on outside grants which accelerated greatly in the 1970s. The Laboratory obtained millions of dollars in grants from federal, state and industry sources. Two of the largest sources of grants came through the Sport Fish Restoration Funds (Dingell-Johnson funds) from the Illinois Department of Conservation (now the Illinois Department of Natural Resources) and from the electric power industry following passage of the Clean Water Act in 1972. Industry and D J funding supported research on culture and stocking of sport fish such as striped bass and walleye. One such project, which resulted in two important reports, involved research on the tank culture of striped bass in water reuse systems. Consolidated Edison of New York was interested in stocking large numbers of young striped bass into the Hudson River to mitigate the loss of striped bass that were entrained and killed in the withdrawal of condenser cooling water (Lewis and Heidinger 1976 report to Consolidate Edison Co.). Striped bass rearing research was continued under a seven-year Illinois Department of Conservation D J grant. This work resulted in very significant findings including recognition of the problem of non-inflation of the gas bladder (Lewis et al. 1981). Consolidated Edison built a large rearing system on the Hudson River largely designed from SIU's research. A multimillion dollar project funded by Commonwealth Edison Company, Chicago, Illinois, and the Electric Power Research Institute, Palo, Alto, California, began in the 1970s. Its purpose was to investigate the potential for power cooling reservoirs to contribute to sport fisheries (Heidinger and Lewis 1986). A large fish culture unit was built by Commonwealth Edison at its LaSalle, Illinois, nuclear power plant. Fish such as smallmouth bass, sauger and striped bass were reared in this unit for many years by Fisheries Laboratory personnel. The hatchery was turned over to the state and is currently part of the Illinois Department of Natural Resources state hatchery system. When power plants draw water from lakes and rivers for condenser cooling, fish are entrained on the intake screens. Especially large numbers of freshwater drum and gizzard shad were being entrained during the winter at the Commonwealth Edison Quad Cities nuclear power plant. Lewis and his students were able to show that a large number of these fish were dead or morbid due to cold river water before they were entrained on the screens (Bodensteiner et al. 1990; Bodensteiner and Lewis 1992; Bodensteiner and Lewis 1994). These studies pointed out the value of river backwater areas for overwintering of certain fish species. Another study funded by Commonwealth Edison (now Exelon) had the goal of rearing striped bass and walleye in its 2.8 mile cooling canal at the Quad Cities power plant. Bill served as the principal investigator on this project until 2005 when his health prevented him from traveling from North Carolina to Illinois. This project continues today under Roy Heidinger's supervision. Lewis and his students pioneered much of the early work on the use of water reuse systems to raise fish. Various biofilters that use bacteria to convert toxic ammonia to less toxic nitrate were investigated (Lewis and Buynak 1976; Lewis et al. 1978; Lewis 1981a; Paller and Lewis 1982; Paller and Lewis 1988). During the 1970s and 80s all of his students understood the relationships between ammonia, nitrite, nitrate, oxygen, pH, temperature and oxygen as it related to fish health in these systems. The Fisheries Laboratory's work on the use of biofiltration in fish rearing units (see this article as example) had a significant positive effect on the Laboratory's research space. Laboratory staff always needed more tank space for experiments, but the SIUC campus was not located over a good groundwater supply. Wells simply would not produce enough water to support such a facility, and it was impractical to remove chlorine from large quantities of city water. In 1986-87 a 7500-square-foot wet lab that used recycle technology was constructed on McLafferty Road in Carbondale. A large boat-equipment storage building was built adjacent to the wet lab. Bill was intensely curious. His 121 publications illustrate the breadth of his interest. The Laboratory has file cabinets full of quarterly, annual and final grant reports. In addition to his publications, he gave hundreds of presentations at scientific meetings and by invitation at numerous other events. A most significant product of Fisheries was graduate students (71 masters, 18 doctoral) who benefited from immersion in a research environment that was intensely active and varied. The graduates were quite successful in obtaining worthy career employment. Most doctoral students followed Bill's example with tenure-track positions in universities. Many masters students took federal or state employment, some entered the commercial sector as managers or consultants in fisheries and still others of his masters students went on to other universities for their doctoral work (see list of his students below). Zoology started its doctoral degree in 1959. In 1964 two of Bill's students, Mark Anthony and Robert Summerfelt, were in the first group of Zoology's doctoral graduates. In addition to his teaching and graduate research program, Bill was very active in University, Department and professional societies. He served on numerous Zoology search and standing committees. He was a member of the advisory committee for more than a hundred Zoology graduate students of other faculty. Bill was nominated to serve as Chair of Zoology in 1971 but turned down the offer. A few years later he was once again offered the position. He served as Chair of Zoology from 1973 through 1978 while still serving as Director of the Fisheries Research Laboratory. Bill's presence in committee meetings tended to have a moderating effect on the members. One of his favorite methods of controlling the outcome of a contentious meeting was to quietly sit, listen to both sides, seeming to agree with everyone. Finally, after everyone grew tired of arguing, both sides would turn to him and ask, what do you think Bill? He would then make his argument, they would agree and the outcome would be what he wanted in the first place. He once told me that the only thing he did not like about this approach was that it took too much time. At the University level he served on numerous committees (Applied Biological Science Committee, Water Resources Committee, Environmental Science Steering Committee, Graduate Review Committee, University Senate, Governance Committee of the University System, Intercollegiate Athletic Committee, Presidents Committee for the Merger of Physiology/School of Medicine, etc.). He was often called to the President's office to give frank opinions behind closed doors; he was trusted not to carry a personal agenda. Bill was a member of the American Institute of Biological Science, Illinois Academy of Science, American Institute of Fishery Research Biologist, Ecological Society of America, and Sigma Xi. He was a life member of the American Fisheries Society (AFS). AFS was his favorite and the one in which he was most active. In 1963 he was a founding member of the Illinois Chapter of the AFS. He served as President of the Illinois Chapter of AFS in 1979. He served on many committees of the national society including Associate Editor of the Transactions of the American Fisheries Society, Certification Committee for Fish Biologist, 1st Vice-President, President-Elect and in 1982-1983 as President of the American Fisheries Society. Bill was inducted into the AFS Fish Culture Hall of Fame in 1988. In 1995 he was given the American Fisheries Society Award of Excellence, which recognized his lifetime of service and work to the fisheries profession. He was very happy to be elected President of AFS and to have received these awards. After Bill relinquished the Directorship of the Fisheries Research Laboratory and retired from SIU in December 1982, he went to North Carolina, but he did not give up his interest in fish. In 1983 he served as Coordinator, Fisheries and Wildlife Programs at North Carolina State. From 1983-2005 he was Visiting Professor at SIU. During this period he was principal investigator on the Quad Cities Research Project. Seven of his graduate students finished their degrees after he retired. Retirement meant a reduction in formal responsibilities for Bill, but not a departure from the science of fisheries. He retained his research association with SIU, his fish farms in Illinois, and built two new fish farms in North Carolina. He studied fish culture in the less fertile ponds of the North Carolina coastal plain with its longer growing season and distinctive regional biotic problems. Initially, one of the fish farms was devoted to producing fish for the aquarium trade. He never initiated a formal research program in this area while at SIU, although many of his students took field trips with him to Beldt's Aquaria in St Louis. He had a long-time interest in this area while at SIU. In fact his children, under his direction, raised some species for sale in their basement at home. He had many visitors to his farms, all of whom were welcome so long as they were willing to talk about fish or at least listen to him talk about fish. It did not hurt if the visitor appreciated good wine also. Bill liked to read well beyond fisheries. He was particularly fond of documentaries and biographies about WWII. This interest was undoubtedly a result of his serving in this war. While serving as sailor one gets a limited view of what was going on, but Bill was interested in the total picture. Bill left with an unshakable loyalty to SIU for his career there. He was proud of the success of his graduate students. Bill lived to see subsequent directors expand the Fisheries Laboratory to 7 tenure-track faculty, 2 university supported researchers, 2 office support staff, 8 full-time researchers supported on grants, 34 graduate students, a 7500-square-foot wet laboratory, a 90 pond research facility on campus and over $4.7 million dollars of grant funding in force. He also lived to see the day when the majority of fish consumed by humans would be cultured; something he predicted years ago. Bill's life revolved around family and his profession. He was a gentleman who helped many people. He was a man beloved because he projected optimism, good cheer, and boundless enthusiasm for fisheries. He will be missed by family, colleagues, students and friends.